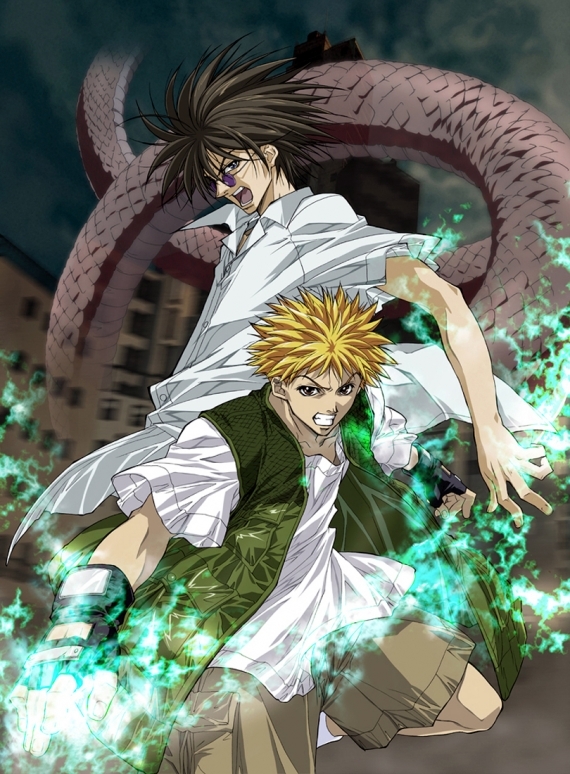 Ban Mido and Ginji Amano are a recovery duo infamously known as “GetBackers.” Ban possesses two special powers: the “Snake Bite” (his hands have a gripping power of 200kg) and the “Evil Eye” (anyone who looks into his eyes will be locked into a powerful and nightmarish hallucination). Ginji, on the other hand, has the ability to generate thousands of volts of electricity from his body. Together, they run a freelance business of recovering anything lost or stolen from a client – and they claim a 100% success rate at their job.